Crosspool petrol station: to be demolished and replaced with a retail development? 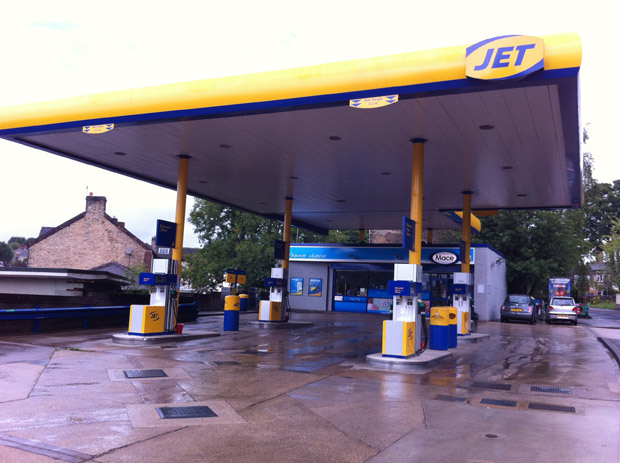 Crosspool’s Jet petrol station would be demolished and replaced with a retail development if a new planning application for the site is approved. Application 14/01275/FUL would see the building of a double-storey A1-class retail unit with parking for ten cars. It would extend to 354 square meters gross internal area. Full details of the scheme are on the council website, including site plans and a detailed planning statement (PDF, 657KB). You have until Monday 19 May now extended to the 2nd June to comment on the proposals. This planning application follows the news last week that just up the road plans have been submitted for an extension to the former Crosspool Coffee Shop house. This entry was posted in businesses, consultation, council, planning, shops and tagged crosspool petrol station, jet petrol station, planning permission, retail development, supermarket. Bookmark the permalink. The application seems to have disappeared from the council website.